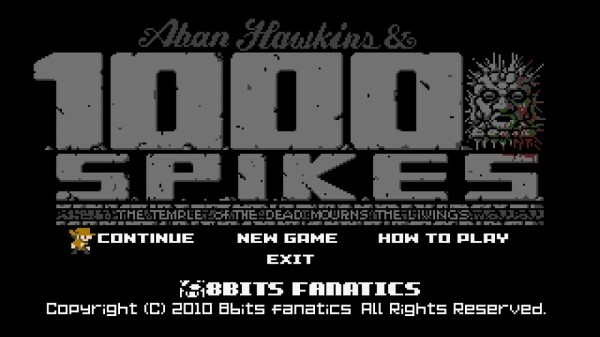 Aban Hawkins and the 1000 Spikes was developed by 8 Bits Fanatics and retails for 80 MSP. Aban Hawkins is a classically inspired platformer with a penchant for pain. The games protagonist, Aban, has a strange name and an Indiana Jones identity crisis. He is trekking through dangerous ancient temples searching for treasure. Saying his job is extremely dangerous is an understatement as every step tends to bring impending doom upon him. At its heart this is a simple platformer that ramps up the difficulty very rapidly. It is likely to elicit rage and laughter all at once since it is so sadistic.